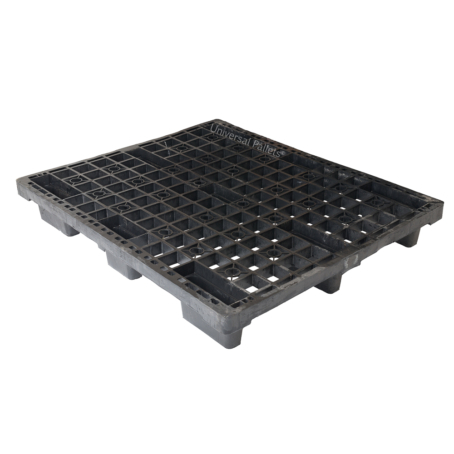 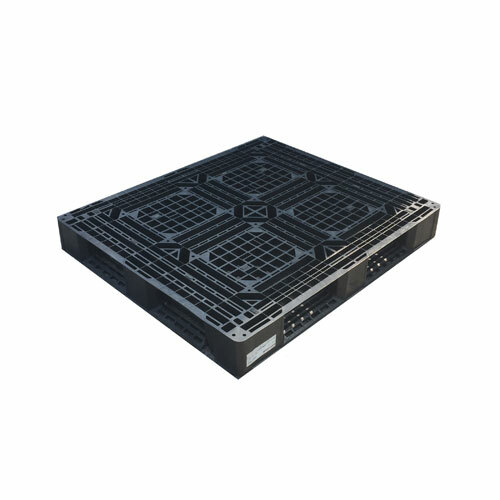 A medium duty recon black plastic 1300mm x 1100mm 4-way pallet – (similar dimensions to a wooden CP4 or CP7). 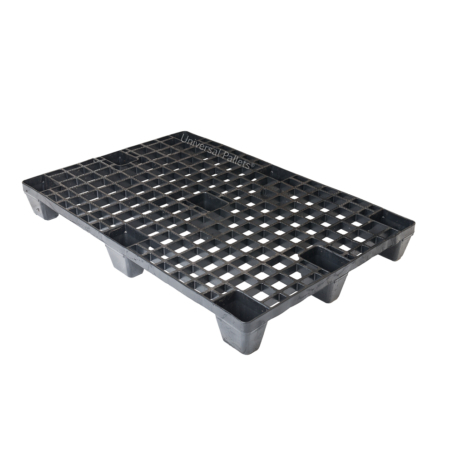 Please note that whilst all of these pallets are black, half of them are winged-top so that the top deck is still 1300mm x 1100mm but the bottom is 1200mm x 1000mm approx. 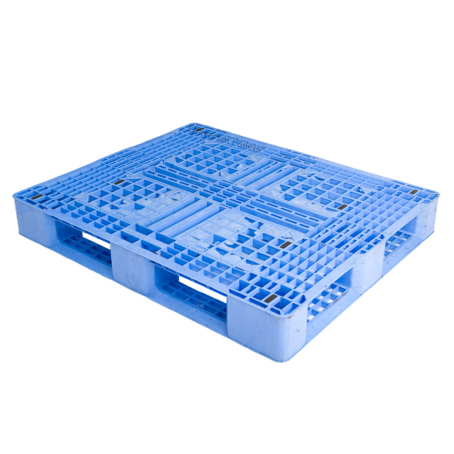 When they are gone they’re gone! 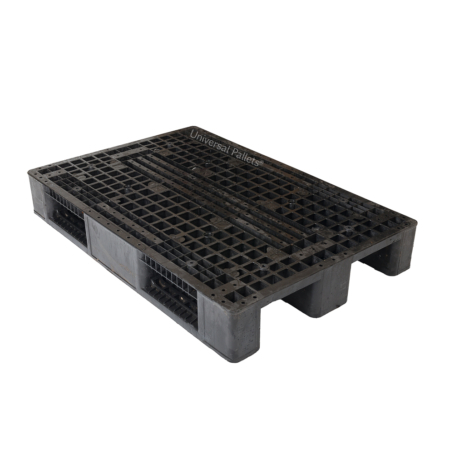 Limited stock available… contact us today!